Governor Nathan Deal looked to the stars for guidance Tuesday evening as he delivered his second State of the State address before the General Assembly in Atlanta. During a 42-minute address the Governor from Gainesville described his goal to achieve another world class medical college in Georgia, announced millions of new dollars for public education, threw a lifeline to former state commission charter schools, and he put his stamp firmly onto corrections reform. Before doing that, Deal turned to the stars. 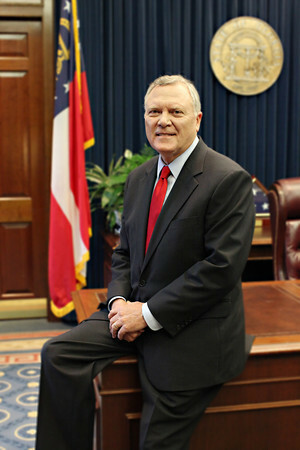 Deal said revenue stabilization – Georgia has 19 consecutive months of improved state revenue – will enable his Fiscal 2013 budget to increase K-12 schools funds by $146 million, increase technical schools and colleges funds by $11.3 million, increase school nurses funds by $3.7 million, and increase teacher salaries by $55.8 million based on training and experience. As expected, Governor Deal also announced an increase in the number of pre-K school year days next year to 170 days, a ten-day improvement over this year. Deal said there would be no reductions to the QBE funding formula, equalization grants or other enrollment driven programs. Deal answered a big question about fall 2012 funding for charter schools that were affected by last spring’s Supreme Court decision that overturned the state charter schools commission. 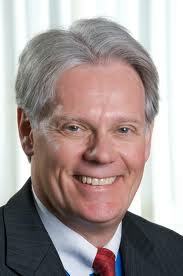 He will ask for $8.7 million in supplemental grants to help those schools stay open next year. The Governor added, “This is not the long-term solution, and I look forward to working with you to ensure that charter schools can thrive in Georgia. We can do this and with your help we will.” The General Assembly is expected to consider ideas that would enable the state to become an alternate authorizer of schools that do not seek or cannot obtain a local school system charter. Deal said Georgia Health Sciences University in Augusta will seek to become the state’s second National Cancer Institute designated Cancer Center, alongside the Winship Cancer Center at Emory University. “Georgia’s annual death rate from cancer exceeds the national average,” Deal said “but I believe we have all of the ingredients necessary to be a destination for cancer research and a resource for every family battling this disease.” Georgia will invest $5 million toward that goal. “In order to address the need for additional health professionals in Georgia, we have been investing in the expansion of undergraduate medical education for several years,” Deal said. “We must now take the next step in this process by increasing the number of graduate residency slots.” The Governor said his budget will fund 400 new residency positions. On transportation, Deal said new southbound lanes will be added to Georgia 400 to alleviate congestion. The Governor said he supports ideas to alleviate Northwest corridor congestion along I-75 and I-575, but not the ideas in a recently abandoned plan. “I was, am and will be opposed to contracting away Georgia’s sovereignty for a period of 60 to 70 years over a transportation corridor that is so vital to our future,” Deal said. The need to reform the state corrections system was a dominant theme when Deal addressed the General Assembly last year, and he returned to that theme with several announcements: $1.4 million to fund additional parole officers, $32.5 million for new prison beds, and three pre-release centers would be converted to residential substance abuse treatment centers at an initial cost of $5.7 million. Deal proposed $10 million in next year’s budget for new drug, DUI, mental health and veterans’ courts. Expanding accountability courts was a key recommendation made by this past year’s special council on criminal justice reform. With a focus on rehabilitating people and closing the revolving door back into prison, Deal asked that the religious community, non-profits and other charitable organizations help former prisoners transition back into the general population. The Governor concluded his address by returning to the economic agenda that he discussed during his speech to 2,500 at the Georgia Chamber of Commerce “Eggs and Issues” breakfast. Deal’s agenda includes repeal of the sales tax on energy, new sales and use tax exemptions for construction materials used in “projects of regional significance,” and updating two jobs tax credit programs. “We will modernize our job tax credits to better incentivize small business growth and to help every Georgia community compete with their regional peers,” Deal said. As mentioned above, Georgia finances have steadily improved since mid-2009 but the state is far from leaving the forest. Georgia now has a $328 million reserve fund, an increase of 183 percent, but well below more than $1 billion on hand several years ago. With an eye to change how the state manages money, Deal said 10 percent of all programs will begin zero-based budgeting, a process that requires justification for every line item in a budget before it is funded. This idea was considered but never enacted during Governor Sonny Perdue’s administration.